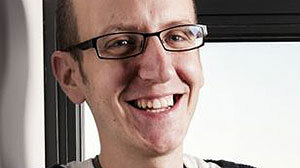 What a month for Bristol-born screenwriter Jack Thorne. After picking up no fewer than three Bafta nominations for his work on The Last Panthers, This Is England ’90 and Don’t Take My Baby, Thorne has now been given the task of adapting Philip Pullman’s His Dark Materials for the BBC. Thorne first came onto the TV scene around 2007 when he wrote an episode of Shameless. This was followed by shows such as Skins and Cast Offs before he joined forces with Shane Meadows on the This Is England trilogy. 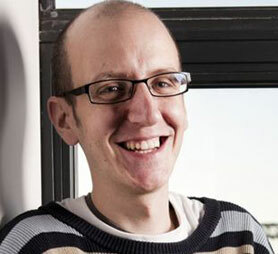 Titles like The Fades, Glue and The Last Panthers confirmed his status as one of the UK’s most in-demand writers – as did a couple of Bafta wins in 2012. And it’s not just the TV industry that wants him. He has also written the play Harry Potter and the Cursed Child and the screenplay for upcoming Warner Brothers movie The Sandman. 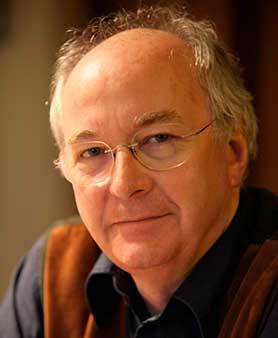 Thorne’s involvement has been given the thumbs up by Pullman, whose Dark Materials books have been published in more than 40 languages and sold 17.5 million copies. Thorne’s versatility and voluminous output are both hallmarks of his remarkable career to date. His latest TV project, for example, is National Treasure for Channel 4. A four-part production starring Robbie Coltrane, Julie Walters and Andrea Riseborough, it examines the impact – both public and private – of accusations of historic sexual offences against a fictional much-loved celebrity. The quality of the cast attracted to National Treasure is a good indicator of Thorne’s pulling power as a writer. So expect to start seeing some big names getting attached to the His Dark Materials project, which is being made by Bad Wolf. 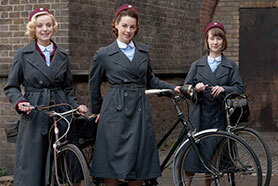 That Thomas has had such success with Call the Midwife is no real surprise when you look at her track record. Having come up through the theatre, she began the transition to screenwriting at the start of the last decade. Her work on Call the Midwife was foreshadowed by BBC drama Lilies, about three girls attempting to make their way in the world in Liverpool in the 1920s. However, it was Thomas’s work on period drama Cranford that really caught the eye, winning her an RTS Award in 2008. Next came a moderately successful reboot of Upstairs Downstairs before the launch of Call the Midwife confirmed Thomas’s reputation. Still in the UK, indie producer Playground has announced two more book deals, after last month securing Patrick Kingsley’s book The New Odyssey – The Story of Europe’s Refugee Crisis. The first is Penguin Random House Books psychological thriller The Widow. Written by Fiona Barton, it follows the wife of a man who is accused and eventually cleared of kidnapping and murdering a child. The second is non-fiction book Jeremy Hutchinson’s Case Histories. Published by John Murray and written by Thomas Grant, it details the life of the celebrated barrister who played a role in numerous controversial UK court cases involving figures such as Great Train Robber Charlie Wilson. 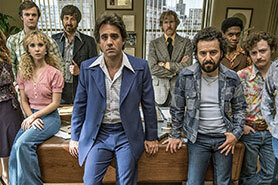 In the US, the big story of the week is that feted showrunner Terence Winter has left HBO’s lavish music industry drama Vinyl ahead of season two. Winter has a superb track record, previously working with HBO on series such as The Sopranos and having written the screenplay for Martin Scorsese’s The Wolf of Wall Street (Scorsese is also involved with Vinyl). However, there is a general feeling that Vinyl didn’t quite hit the mark. So HBO and Winter have parted company after creative differences about how the show should get back on track. Burns is best known for The Bourne Ultimatum, though more recent credits include 2016’s Deep Water and 2011’s Contagion. Borenstein, meanwhile, wrote the screenplays for the most recent Godzilla film and the forthcoming Kong: Skull Island. He was also involved in Fox’s ultimately unsuccessful TV version of hit sci-fi movie Minority Report. Finally, more than 90 writers from Mississippi including John Grisham and Donna Tartt have signed a statement calling for the repeal of the state’s new anti-gay religious freedom bill. 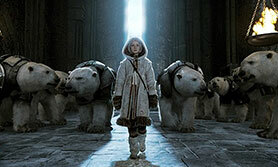 The BBC has greenlit an eight-part drama series based on Philip Pullman’s fantasy trilogy His Dark Materials, which comprises novels Northern Lights, The Subtle Knife and The Amber Spyglass. Commissioned by BBC1 controller Charlotte Moore and BBC drama commissioning controller Polly Hill, the adaptation will be produced by Bad Wolf – the new prodco from Jane Tranter and Julie Gardner’s – and New Line Cinema, which is making its first move into scripted TV. 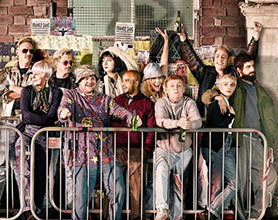 The show will be made in South Wales and Los Angeles. One thing we don’t know is who will write the show. Screenwriters are being talked to right now, so this week we’re speculating wildly on who might get the job. Adapting His Dark Materials (which has sold 17.5 million copies and been translated into 40 languages) is undoubtedly a great gig for any TV writer. But it will also be a tough challenge. 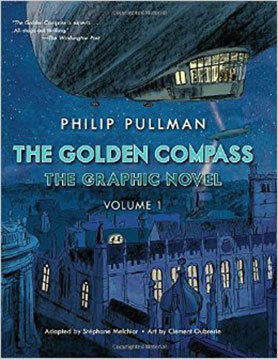 Not only is Pullman’s trilogy a complex and controversial piece of work (which may not sit comfortably in the BBC1 schedule), it has the shadow of a failed movie hanging over its head in 2007’s The Golden Compass, so there is no question it will require a proven talent to pull it off – someone who can capture the dark, subversive nature of the work without diminishing its sense of mischief, romance and adventure. If their diaries allow it, the obvious choices to handle the project would be Russell T Davies or Steven Moffat, both of whom have exactly the right credentials for a project of this kind. Moffat, immersed in Doctor Who and Sherlock, might not be a realistic option right now. But both writers are close to Tranter and Gardner and know what it takes to create shows that can work on both sides of the Atlantic, which will be a significant consideration for New Line Cinema. 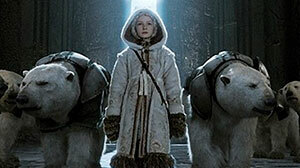 On the face of it, both writers perhaps seem a little too slick for Pullman’s sombre fantasy world, but their sense of fun may be exactly what’s required to avoid the fate of The Golden Compass movie. Tranter and Gardner won’t want to stray far from this kind of quality. But if Davies and Moffat aren’t available then they may look to other writers who have developed their credentials in and around Doctor Who, Torchwood and Sherlock. Again it depends on diaries, but you would have to look at the likes of Mark Gatiss (Doctor Who, Sherlock) – who might even bag a part in the show. Strong alternatives with proven showrunner ability include Chris Chibnall (Doctor Who, Torchwood and Broadchurch) and Toby Whitehouse. Whitehouse would be an interesting call; a long-time friend of Gardner, he has shown the same kind of versatility as Gatiss and Chibnall with credits such as Doctor Who, Torchwood, Being Human and The Game. If you’re looking for someone with recent credentials in adapting awkward novels then Peter Harness may be an option. Aside from his BBC1 adaptation of Jonathan Strange & Mr Norrell, his credits include Wallander and City of Vice. Interestingly, he is also now part of the Doctor Who star chamber, having written episodes for the last two seasons (including The Zygon Inversion, co-written with Steven Moffat). Other in-demand writers that you ignore at your peril include Jack Thorne (The Fades, The Last Panthers), Hugo Blick (The Honourable Woman) and Howard Overman (Misfits). And to balance the fact that this is an all-male list, you’d have to consider talents like Abi Morgan, Sally Wainwright and Sarah Phelps – though this certainly feels like more of a project for graduates of the Doctor Who school of creative writing (which means we should also consider Neil Cross, whose credits include Spooks, Doctor Who and detective series Luther). Tranter and Gardner might, of course, head in a completely different direction. With so much movie talent coming over into TV, why not go for Alex Garland or Jane Goldman – Brits who are pre-eminent in their field? Or maybe it requires the involvement of Nicholas Wright, the playwright who successfully adapted the novels for the National Theatre. The innate Britishness of the Pullman project (its location, its core characters and its brooding discontentment with Catholicism), combined with the film’s underperformance, probably militate against the use of a US writer. 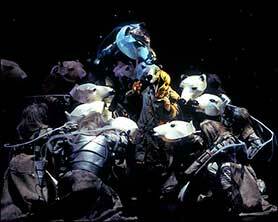 And it looks like the kind of project that would suit a writer-auteur rather than a writers room. But US writers who Gardner and Tranter have worked with recently include Glen Morgan (Intruders), David Goyer (Da Vinci’s Demons) and John Shiban (Torchwood: Miracle Day). So if winning the US market is a big priority then any of these might be a credible screenwriting solution. All of which is, of course, pure speculation – and there are plenty of other scribes who could handle the brief. It’s important, for example, to keep in mind that the chosen writer will need to pass muster with Pullman, not just Tranter and Gardner. Although the BBC announcement was only made this week, there is already a sense that His Dark Materials is better suited to TV than film (echoing other complex fantasy works such as Frank Herbert’s Dune). Pullman, who will executive produce, seems positive about the medium’s potential to tell his story: “In recent years we’ve seen the way that long stories on television, whether adaptations (Game of Thrones) or original (The Sopranos, The Wire), can reach depths of characterisation and heights of suspense by taking the time for events to make their proper impact and for consequences to unravel. And the sheer talent now working in the world of longform television is formidable. Tranter added: “It is an honour and a joy to be part of the team responsible for bringing Philip Pullman’s trilogy of novels to the BBC. Ever since they were first published, these books have been a huge influence on so much of my thinking and imagination and it is enormously inspiring to be now working on them for television adaptation. Tranter’s use of the word ‘seasons’ as opposed to ‘season’ is, of course, illuminating. The books aren’t Game of Thones-like in length, so it’s doubtful the three of them could justify more than a series each (unless Bad Wolf goes down the interminable route taken with JRR Tolkien’s The Hobbit). So any writer who is thinking about coming on board is probably looking at a three-year commitment (assuming the TV show doesn’t suffer the same fate as the movie version) – which isn’t too bad. That said, they should probably read this article in The Guardian to remind themselves why the film version didn’t work.